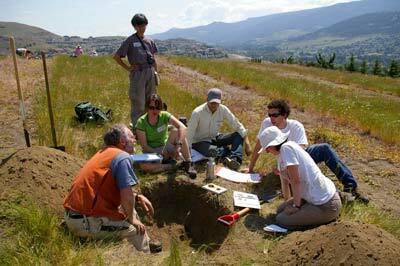 The course learning outcomes are met through a 3-day field work, keeping a detailed field notebook, describing a soil at one of the soil pits at the end of the field work, and preparing a term paper. The course coordinators are Dr. Shannon Berch (BC Min. of Environment), Mr. Kent Watson (Thompson Rivers Univ. ), and Dr. Chuck Bulmer (BC Min. of Forests, Lands and Natural Resource Operations) and the course is organized in collaboration with Pacific Regional Society of Soil Science (PRSSS).